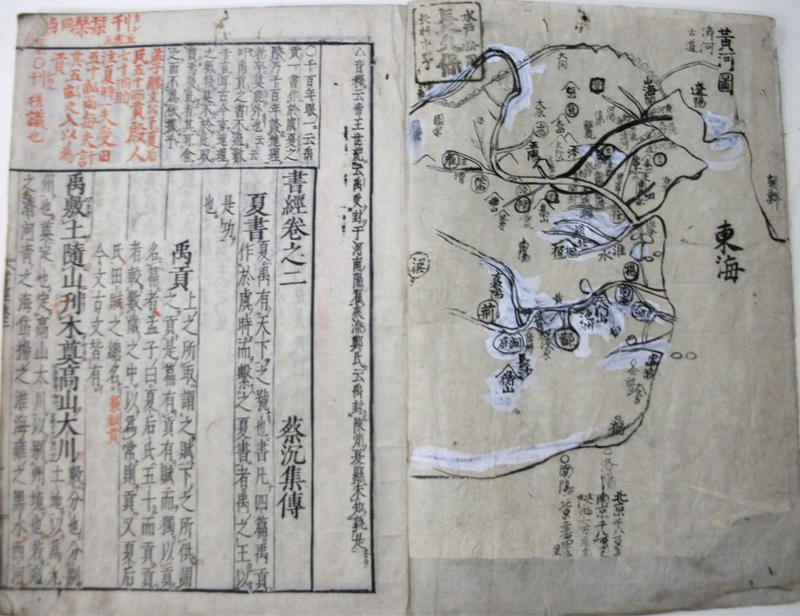 To be able to exchange poems with a visitor from Qing Dynasty China in Nagasaki came as a great surprise to Sekisui and was something he didn’t dare to think of even in his wildest dreams. The Noguchi’s boat himemiyamaru from the neighboring village Isohara drifted ashore in Annam (today’s Vietnam). They were saved by a ship from China and sent back to Nagasaki. Sekisui was sent along with officials from the Mito domain and 21 other people to act as a shôya during the exchange of the four stranded crewman. Once they arrived in Nagasaki, Sekisui wanted to test his skills by having a written conversation with a real Chinese, who he admired so much. But the Mito domain didn’t allow “mingling with foreigners”. Sekisui managed to restrain himself for about three to five days before he decided that he couldn’t waste such a once in a lifetime chance. He ignored the law (a bad law in his perspective anyway) and secretly passed a letter with an attached poem to the interpreter Yûyûrin and waited for a reply. The heavens answered to his passion, and when he almost had given up and prepared for the way home, there came the long awaited reply. Rhyming with the words of his own poem’s lines it said “shinrinjin, shinrinjin”. The 20 or so collections of poems must have left the scholars of the Mito domain in awe. A “jikô” written with the Kanji for “to serve” and “to lecture” is exactly that. A servant who teaches and holds lectures about all sorts of writings and literature. One could compare him to a home teacher. But Sekisui was the first of such in the Mito domain. As country magistrate Oshizumi Minagawa put it: “Risen from a peasant live to the palace. This is truly is unprecedented”. He was a learned man with retentive memory, extraordinary experience and a fair mind. 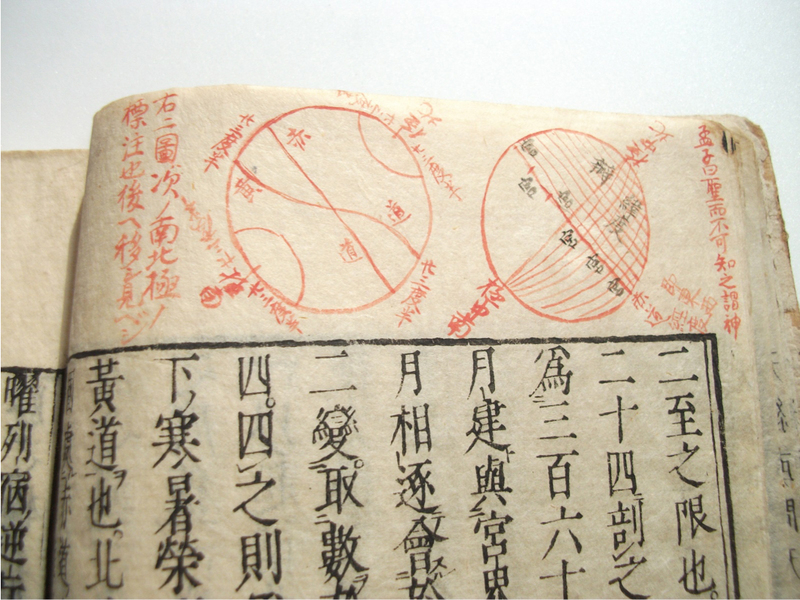 It is said that the 27 years young lord Harumori also had an interest in the history of astronomy. Given the strict class based structure of the warrior society of the time, it was only to be expected that, after his family name and heritage being investigated, Sekisui was to be recommended for the post. After being employed once more at the age of 61, Sekisui wrote a letter of gratitude to the one who recommended him, saying: “Until the end of times I will carve the debt of gratitude I owe you into my bones”. 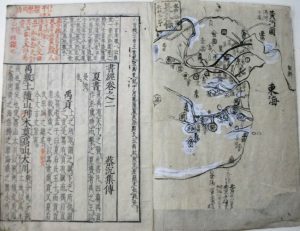 The jikô lived in the Edo estate of the Mito domain (today’s Kôrakuen) and was extremely busy. But he was a trusted person who not only taught his lord but also other members of the household such as brothers, young lords, the elderly, the head clerk and even common folk. He also was given the task to provide guidance to two or three young boys who would become the future leaders of the Mito domain. The merit there was, that powerful people were his students, and therefore he was able to help his home village by getting the abolition of “saiaratame” and the Ôno ranch done. On top he was able to build himself a network of personal connections and it was easy to gather important materials for his work. 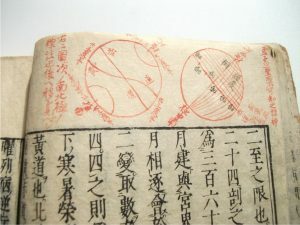 Sekisui was a man who not only read and studied a lot but who practiced science. His first mentor was Genjun Suzuki, a physician, who followed the rôsô (or Huang-Lao) school of thought. Obviously Sekisui was influenced by this. Sekisui’s name is made out of the first Kanji of Akabama and Mito respectively but the other name he has gone by, Harutaka, as well as the one on his seal, Shômôkorewouru, all come out of the text “sôji”. But it was Confucianism that lay at the core of his being. His family’s precepts were mostly taken out of Confucius’ writings. According to the Mito scholar Nagazawa Motoda, the Imperial Rescript on Education of year 23 of Meiji used Sekisui’s family precepts as reference. 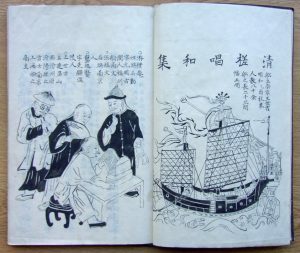 But although it begins with “Honoring thy elders is the base of virtue…” the part of the Imperial Rescript “One should support the throne” is nonexistent in the family precepts. Also included are live lessons about moral values and the way humans should live their lives. In a letter to his son Shirôji he included an excerpt out of the Genji Monogatari. “Just by remembering the names of all 60 volumes one proves to have a refined taste. You should not think of people who don’t read as people”, the letter says (Collected letters of Sekisui Nagakubo). It is also worth mentioning that Sekisui had high hopes for Yûkoku Fujida, whom he taught. Sekisui was a man, who lived listening to the heavens and teaching his surroundings to never stop learning.